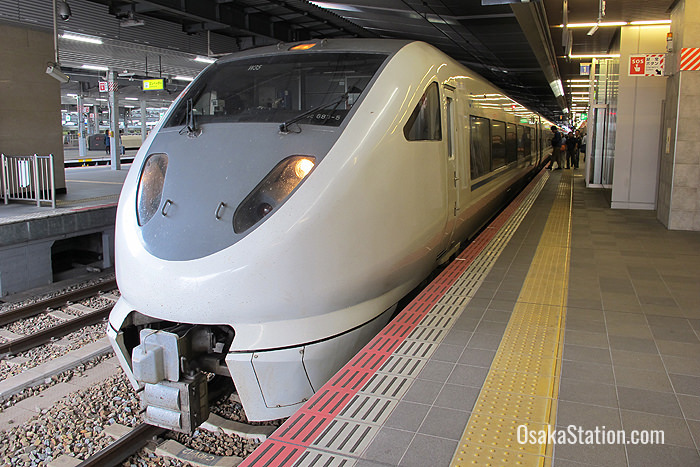 The Limited Express Thunderbird is a service operated by JR West that connects Osaka Station with stations in Fukui Prefecture, and Ishikawa Prefecture, via Shin-Osaka Station and Kyoto Station. This service is fully covered by the Japan Rail Pass. At Osaka Station trains leave from Platform 11. The Thunderbird Limited Express is a convenient and fast service for popular tourist destinations in Fukui Prefecture and Ishikawa Prefecture. The service is also very frequent. 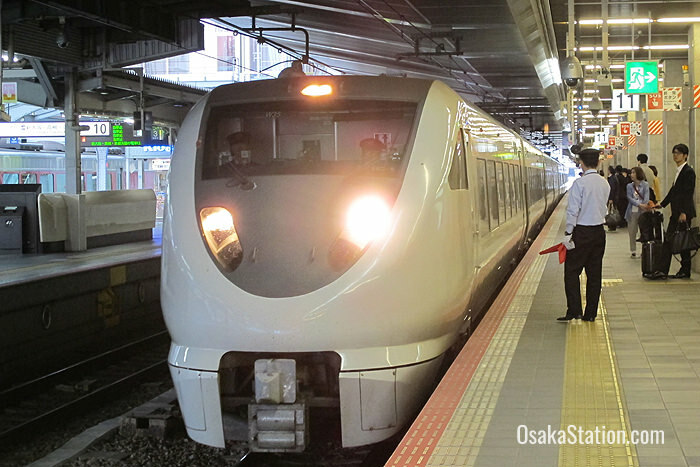 A total of 24 trains make the round trip between Osaka and Kanazawa on weekdays, and the number goes up to 25 trains on Saturdays and Sundays. The train follows the following route. Some Thunderbird services do not stop at the stations in brackets . 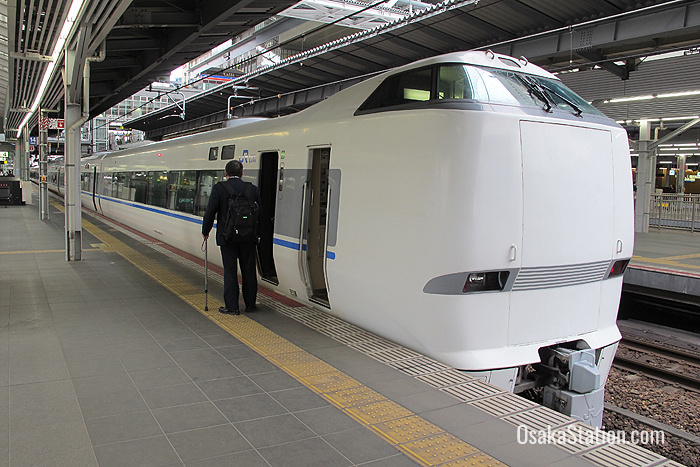 Most of these trains have Kanazawa Station as their northern terminus, but one service a day goes all the way from Osaka to Wakura Onsen Station. 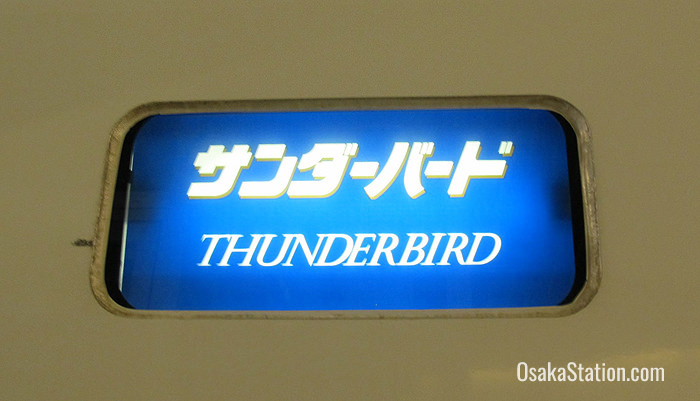 This is the Thunderbird #15 which leaves Osaka Station at 10.12 and arrives at 14.07. The return train is the Thunderbird #20 which departs from Wakura Onsen Station at 10.14 and arrives at Osaka Station at 14.06. The city of Awara is famous as a hot spring resort. Check the official Awara City website. for a list of recommended hot spring facilities.